Here we are a few years back (in our courting phase) in front of the NYC Serendipity 3 restaurant. Besides the fact that she's beautiful, I could list off a thousand reasons why she's so amazing, but to keep it brief: She's amazing to me, because we're both in synch with each other all the time. Even when we don't agree on something, we talk it out until we do. When I'm feeling worn out, she lifts me up. When I'm feeling frustrated, she calms me down. But she does more than just make me content. She also challenges and encourages me to take on new challenges. She inspires me to try things I never would've done before I'd met her. And she is just the sweetest person to ever walk this earth. Anyway, I said I wasn't going to list out all the reasons (and I haven't come close yet). Let it just be said that she's a perfect fit for me, and that I'm so happy to have her as my wife and as a mother and step-mother to my boys (and I know they are grateful too). Happy Birthday, Tammy! I love you! Merry Christmas! We actually have snow on the ground here in Duluth, Georgia, on Christmas Day (now evening), which just doesn't happen around these parts often. The last time it even flurried in these parts was 1993! Anyway, we had a great Christmas and have just put Will and Reese to bed for the night. Tomorrow morning, I'll be headed up to Ohio to collect Ben and Jonah through the New Year. But before I go to sleep tonight, I wanted to give the gift of a great recipe I use to make jambalaya. Why jambalaya of all things? Well, Tammy and I are on our second straight year in establishing a Christmas tradition of having jambalaya for lunch. If you've hit your limit on traditional holiday foods, such as turkey and ham, then jambalaya may literally spice up the holidays for you. Heat oil in sauce pan and fry ham, sausage and onion for 3 minutes. Add garlic, thyme and parsley. Stir well. Add chicken stock, rice, cayenne pepper and hot sauce. Mix well. Add tomatoes with juice. Again, mix well. Bring contents to boil while stirring well. Then, cover and simmer on low heat for 15 minutes. After 15 minutes is up, stir in bell pepper and wine. Then, cover and cook for 3 more minutes. Add shrimp to mixture and cook for another 5-10 minutes. I find this dish usually takes me about 45 minutes if I'm keeping myself busy chopping up the bell pepper while step 5 is simmering. It's ready to serve hot off the oven and can easily feed four (or more if everyone's not stuffing themselves). Plus, this dish re-heats well in the microwave. In fact, the extra time in the fridge allows all the spices to mix together even more. Mmmmm...speaking of which, maybe I should re-heat our leftovers from earlier today. You can add more hot sauce to this dish, but I find it's better to go easy on the hot sauce while cooking. After all, it's easier to add more spice at the dinner table than it is to take spice away. Enjoy! And again, Merry Christmas! Most writers may already know what SEO is. If not, SEO stands for search engine optimization. Basically, a site or blog that practices good SEO habits should improve its rankings in search engines, such as Google and Bing. Most huge corporations have realized the importance of SEO and spend enormous sums of time, energy and money on perfecting their SEO practices. However, writers can improve their SEO without going to those same extremes. In this post, I will use the terms of site pages and blog posts interchangeably. In both cases, you should be practicing the same SEO strategies (when it makes sense). Use appropriate keywords. Make sure that your page displays your main keyword(s) in the page title, content, URL, title tags, page header, image names and tags (if you're including images). All of this is easy to do, but if you feel overwhelmed, just remember to use your keyword(s) in your page title and content (especially in the first and last 50 words of your page). Deliver quality content. The best way to improve your SEO is by providing content that readers want to share with others by linking to your pages. Some of the top results in search engines can be years old, because the content is so good that people keep coming back. So, incorporate your keywords in a smart way, but make sure it works organically with your content. Update content regularly. If your site looks dead to visitors, then it'll appear that way to search engines too. So update your content regularly. This should be very easy for writers who have blogs. For writers who have sites, incorporate your blog into your site. This will make it easier for visitors to your blog to discover more about you on your site (through your site navigation tools). Link back to your own content. 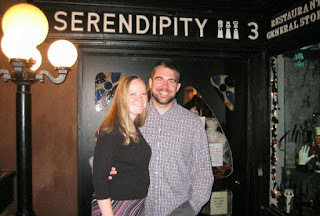 You may notice on this blog that I don't just let a blog post disappear into the ether. If I have a post on Blogging Tips for Writers, for instance, I'll link back to it if I have a Platform Building 101 for Writers post, because the two complement each other. This also helps clicks on my blog, which helps SEO. The one caveat is that you don't go crazy with your linking and that you make sure your links are relevant. Otherwise, you'll kill your traffic, which is not good for your page rankings. Link to others you consider helpful. Back in 2000, I remember being ordered by my boss at the time (who didn't last too much longer afterward) to ignore any competitive or complementary websites--no matter how helpful their content--because they were our competitors. You can try basing your online strategy on these principles, but I'm nearly 100% confident you'll fail. It's helpful for other sites and your own to link to other great resources. For instance, check out my Reading List (in the right-hand column of the blog) and this recent post on Top Tweeters for Writers to Follow on Twitter. I shine a light on others to help them out (if I find their content truly helpful) in the hopes that they'll do the same if ever they find my content truly helpful for their audience. Get specific with your headlines. If you interview someone on your blog, don't title your post with an interesting quotation. While that strategy may help get readers in the print world, it doesn't help with SEO at all. Instead, title your post as "Interview With (insert name here)." If you have a way to identify the person further, include that in the title too. For instance, when I interview poets on my Poetic Asides blog, I'll title those posts like this: Interview With Poet Erika Meitner. Erika's name is a keyword, but so are the terms poet and interview. Optimize images through strategic labeling. Writers can do this by making sure the image file is labeled using your keyword(s) for the post. Using the Erika Meitner example above (which does include images), I would label the file "Erika Meitner headshot.jpg"--or whatever the image file type happens to be. Writers can also improve image SEO through the use of captions and ALT tagging. Of course, at the same time, writers should always ask themselves if it's worth going through all that trouble for each image or not. Each writer has to answer that question for him (or her) self. Use your social media platform to spread the word. Whenever you do something new on your site or blog, you should share that information on your other social media sites, such as Twitter, Facebook, LinkedIn, online forums, etc. This lets your social media connections know that something new is on your site/blog. If it's relevant and/or valuable, they'll let others know. And that's a great way to build your SEO. Programmers and marketers could get even more involved in the dynamics of SEO optimization, but I think these tips will help most writers out immediately and effectively while still allowing plenty of time and energy for the actual work of writing. Or check out my Facebook fan page by clicking here. Wow! I can't believe how quickly people are reserving copies of my limited edition chapbook (click here to read the original post). 25 of the 101 copies have already been claimed. I'm still planning on releasing the collection on April 1, 2011, but I suppose if I sell out before then, I'll roll up my sleeves and try releasing the collection earlier. If you're interested in reserving a copy, all you need to do is send me an e-mail at robertleebrewer@gmail.com, and I'll provide more details. As a parent, I know that finances can get pretty tight around the holidays, so I won't be sending around information on payment until after January 1, 2011. Since I keep referring to the collection as "the collection," I guess you've probably deduced that I haven't given the collection a title yet. But don't worry, I'm sure the name will assert itself as soon as I lock down which poems will appear in the collection. Many of these poems have found individual publication over the years in places such as Otoliths, MEAT, Barn Owl Review, DMQ Review, Words Dance, OCHO, MiPOesias, Escape Into Life, La Fovea, and of course the Poetic Asides blog. However, I believe one or two of the poems have only ever been shared at public readings. As part of the process of selecting these poems, I left out many poems that had been published over the years, because I either felt they didn't fit with the others, or I felt I'd moved on as a poet. Plus, there is a series of poems I consider "off limits" precisely because they are written to be part of a series of poems. Similar to how I feel when I judge poetry contests, there were some poems I wanted to include, but I just couldn't for space considerations. One of my goals was to be especially hard on myself in making selections. So, I still need to decide upon a title for the collection, and I need to figure out my cover. But really, I've already got ideas, and those are fun parts of the process. By the way, the poem that is currently slotted to be the first of the collection was recorded and broadcast by its original publisher, Didi Menendez, yesterday--totally by coincidence! Great time, eh? Anyway, if you'd like to hear Didi read "Solving the world's problems," just click here. Oh yeah, and if you'd like to reserve a spot on the pre-order list, just send me an e-mail at robertleebrewer@gmail.com and let me know. The first printing is capped at 101 copies, so it really is a limited edition release. Want to know what I'm currently reading? It's Aaron Belz's collection of wonderful poetry, Lovely, Raspberry , which was released earlier this year by Persea Books. I've been a fan of Aaron's poetry for a while now (he wrote maybe my favorite Godzilla poem ever). He writes poems that are funny, surprising and amazingly human--all while playing with pop culture. If you can, you should definitely check it out. My youngest boy turned two today! 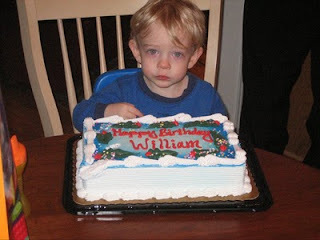 Happy Birthday, Will! 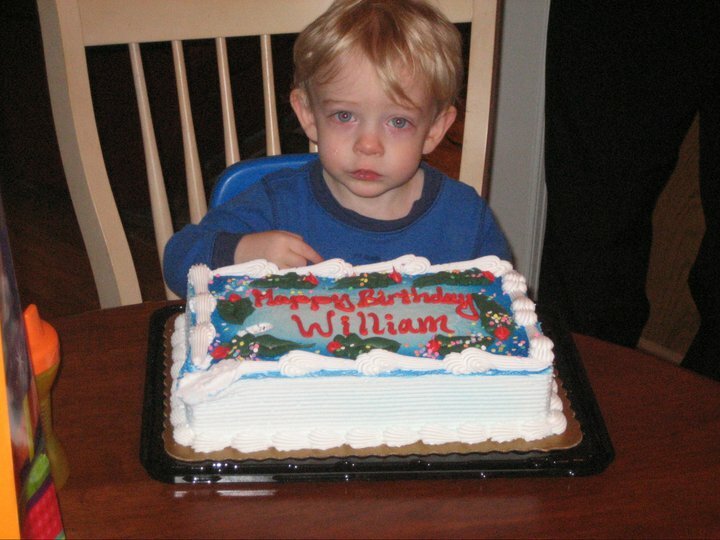 As you can probably tell, he was a little tired by time we got to the cake. However, he had a great birthday filled with food, family, and presents. Yesterday, Tammy did a great job of cutting Will's hair. As some of you may have noticed in my Happy Thanksgiving post, Will had some very long hair previously. In fact, I can't tell you how many times strangers have mistaken him as my daughter. That won't be a problem anymore, since he definitely looks quite boyish now. Anyway, I just wanted to share the little man's happy birthday with the blogosphere! Recently, I've made the decision to publish my first collection of poetry as a chapbook. Further, I've decided to go ahead and do it the old-fashioned way via self-publishing. Plus, I'm going to do the first (and probably only) printing as a limited edition of 101 individually numbered copies. These are the decisions I've already made. The official release date will be April 1, 2011. The official price will be $10 (which includes shipping to anywhere in the U.S.--not sure about the rates for outside the U.S.). All purchased copies will be signed by the author (moi). Super eager readers can pre-order now and receive copies before the "official release date." Just e-mail me (at robertleebrewer@gmail.com) for details. There are another 30+ poems fighting to make the final cut, but there's only so much room available in a chapbook-length collection. So I'll share more details as they develop, including what the cover art looks like. I'm thinking it'll be something lo-tech and sincere, which is how I roll. Also, if you have any requests for poems you'd like included, go ahead and let me know now. If I'm having trouble deciding between a few poems near the end, your voice may sway me in one direction over another. In the near future, I'm going to start sharing poems from this collection on this blog as part of my experimentation with video. Recently, I purchased a web cam, and I'm going to try reading some poems and sharing them here. Fingers crossed that I'll be able to figure everything out. Anyway, I just wanted to share my exciting poetry chapbook news! Stay tuned for more information between now and April 1, 2011! Of course, platform building is a huge topic, and it's certainly one of the more important topics for writers who want to "make it" who haven't yet "made it." The definition of "making it" may be changing as we speak, but the platform is pretty easy to define. A writing platform is basically a writer's reach to their target audience on a specific subject or topic. One writer can have multiple platforms, and those platforms can intersect and co-habitate or be completely separate. For instance, writers who deal in poetry and fiction may be able to use credits in literary magazines interchangeably for their literary pursuits, but those same credits likely won't help much in pitching a how-to book on woodworking (unless it's somehow targeted at literary types). In this post, I just want to cover the basics of planning out a platform strategy. I often find that success follows successful preparation and adaptability (to things not going exactly as I planned). Since most online platform-building tools are available for free, let's start there. Great work! You've built the foundation of your online platform by accomplishing the five tasks above. Plus, if you've read my tip and cheat sheet links above, you probably have some idea of how to optimize some of these tools. However, building a successful platform takes time and planning. Use one site as your central hub. Preferably, this would be your domain name url website. Or it can be your blog. Avoid making it your Facebook, LinkedIn, or Twitter profile--just because it's hard to predict if these sites will eventually be the next MySpace (or in other words, a social media ghost town). Many writers get frustrated when they invest time and energy into platform building and don't receive the instant gratification of lots of friends, readers, comments, etc. I totally understand that. These writers are excited and pumped up to connect and then nothing happens immediately. However, building a platform is something a writer does throughout a career. It's not a get-rich-quick scheme. It's a long-term communication between the writer and his (or her) audience and readership. As a result, I advise writers to start small and build. If you're new to blogging, don't post every five minutes. Post once a week and spend time communicating with other writers and readers on social media sites. When you think it's time to increase your blogging frequency, do so. Over time, you'll develop a feel for what works with your audience. Also, don't stress out about how many (or few) followers and friends you have. This too is a process and will build over time. When I first started connecting with writers online, it was through forums, message boards and MySpace. I rarely use any of these tools anymore. In another 5 to 10 years, I may not be using the sites mentioned above. So, writers need to be open to experimentation and adapting to changes in technology and finding "where the people are." This is why having a good central hub is so important, because it will serve as your rock solid virtual real estate that should be the same in 2010 (or 2011) as it will be in 2020 as it will be in 2030 and beyond. Business cards. If you attend events or speak regularly, then you should realize that business cards are important to networking and platform building in the real world. Include your name, contact information (mailing address, phone, e-mail), and central hub. Events. Writers can make actual human contact with writers, editors, agents, and other publishing professionals at events, such as writing conferences, workshops, literary festivals, book signings, readings, open mics, etc. Mailing lists. This old school method of reaching your readership may cost more to maintain, but when done well, writers can often expect to get what they pay for--in a good way. E-mail lists. These are very important and powerful and can be handled in many different ways. Very important, though, make sure your e-mail list is permission-based and that you don't practice any spamming tactics, or you'll lose any of the value your e-mail list may have provided. Just remember: Platform building is a process, not a goal. There is no finish line. So try to incorporate it into what you do as a writer, and you'll likely be more successful with both your platform building and actual writing activities. One of my favorite Christmas movie moments is from A Charlie Brown Christmas when Charlie Brown is forced into writing his sister Sally's Christmas list. She gets rather specific and lets Santa know that he can just avoid the specificity and send her money, preferably "tens and twenties." After all, she just wants her "fair share." In the real world of Christmas, there is truly no such thing as a fair share, and I will be the first one to admit that I already have more than my fair share--even if I don't receive a single Christmas gift. I have a great wife and family, and we've never had to go without a meal. So I'm going to share my 2010 Christmas Wish List (as if I were still a kid), but I won't be disappointed if all of these items have to carry over to the 2011 Christmas Wish List. eReader. My preference would be an iPad , but I'd be happy with a color Nook or Kindle . While I love the printed book experience, I'm totally into the improved technology of these eReading devices. Running shoes. If I don't get a pair for Christmas, these will need to be got in early 2011, since one of my resolutions is to get running on a regular and consistent basis. My favorite brands are New Balance and Saucony . Couch . Tammy and I have been dreaming of a couch for Christmas ever since we started living together. We've made due without one for years, but maybe Santa can stuff one in a stocking this year. Laptop. I have a laptop stuffed away in storage somewhere, because it crashed. It would be nice to have one again like this one or this one . Digital camera. We have a digital camera, but technology is always improving, and I'd really like an SLR model (for instance, this one looks nice ). Video camera. Another one of those long-time wish list items shared by Tammy and myself, a nice video camera (like this one ) is something we'd love to capture at least some of the moments produced by our soon-to-be basketball team worth of children. Personal gym. Right now, our personal gym consists of some dumbells , but I'd love to eventually have a treadmill , bench press , eliptical machine , floor mats , etc. Everything except a wall of mirrors. Entertainment. I can never have too many books (like The Girl Who Kicked the Hornet's Nest , by Stieg Larsson) or movies (like Toy Story 3 or Inception ) or music (like Hot Tropics , by the Growlers or Of Montreal's False Priest ). Minivan. I'm really high on the Kia Sedona; in fact, I'm really high on Kia as a car company. They're affordable, reliable, safe and have smart designs (I love my Kia Spectra). Anyway, Tammy (who loves her Subaru Outback) and I realize that we need a minivan to transport our team of children. Gift cards. When all else fails, there's always money. You can send "tens and twenties" on iTunes gift cards , Target gift cards , etc. Special Note on Giving: But seriously, I don't need any of this stuff on my list. The people who really need things don't typically have personal blogs. I often need to remind myself of this fact when I get annoyed that it feels like everyone is asking for my money. The Salvation Army people are staked out in front the entrance/exits of my local Kroger ringing their bells and wanting money. At school and through the scouts, my boys are asking for money for the needy and toys (which cost money) for the Toys for Tots program. Each time I spend money at the store (any store, whether Kroger, Target, Walmart, Long John Silver, gas station, etc. ), I'm asked to donate $1 to $5 in addition to my already budgeted purchase. And I donate away, though sometimes in the wrong spirit (as if I'm donating against my will). But it's good to give this time of year if you're able. And while I'm not the richest person, I'm able. If you're able, please give when you can however you can. A dollar here or there really does add up over time. GameStop gift card . Let your special someone pick out his or her favorite games and/or gaming equipment. iTunes gift card . Give the gift of music this Christmas. Target gift card . Give flexibility in your gift, since most Target locations offer everything from food to futons. AMC Theaters gift card . Send your friends and family to the movies--probably to watch something in 3D. Maybe even make it a "date night" gift with a Chili's gift card too. Amazon gift card . Let your loved one find something off Amazon.com. Or get a box of gift cards for your entire office .